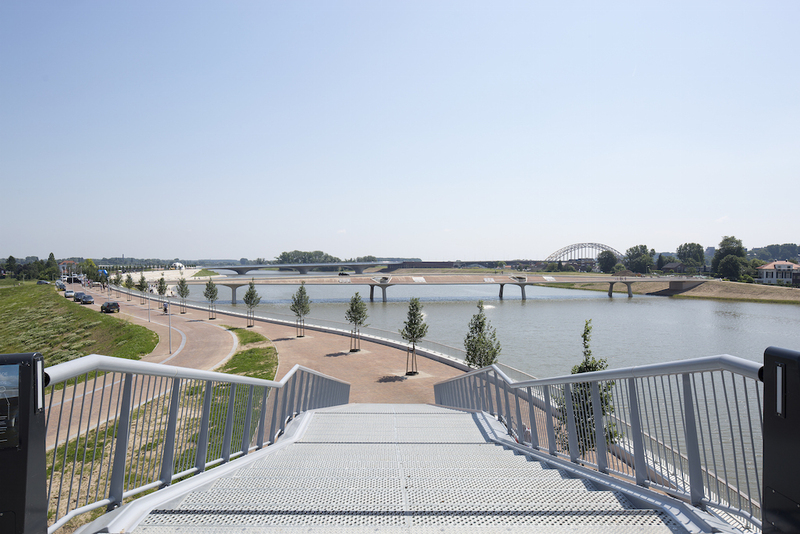 Within the basic design of the municipality Nijmegen voor Ruimte voor de Waal (Nijmegen for Space for the Waal), Thijs Asselbergs and Arjan Karssen in collaboration with H+N+S have worked on a series of assignments in which civil architecture, landscape design and industrial design are intertwined. 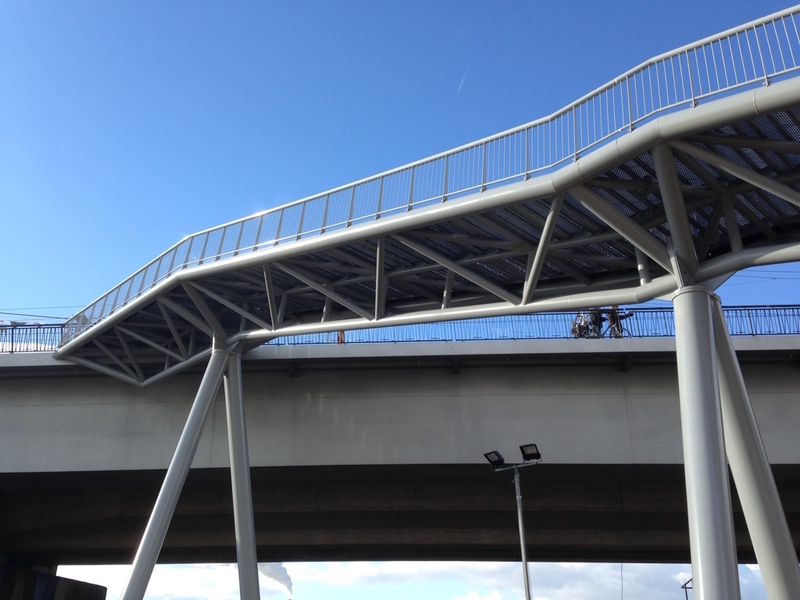 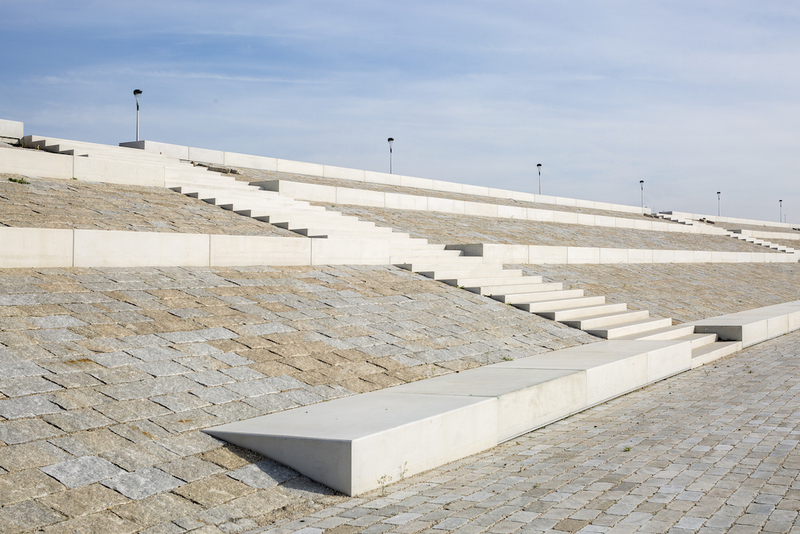 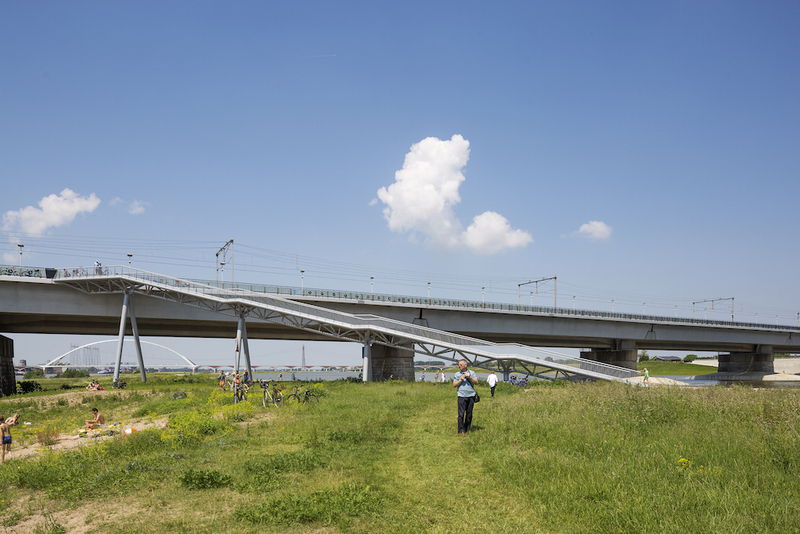 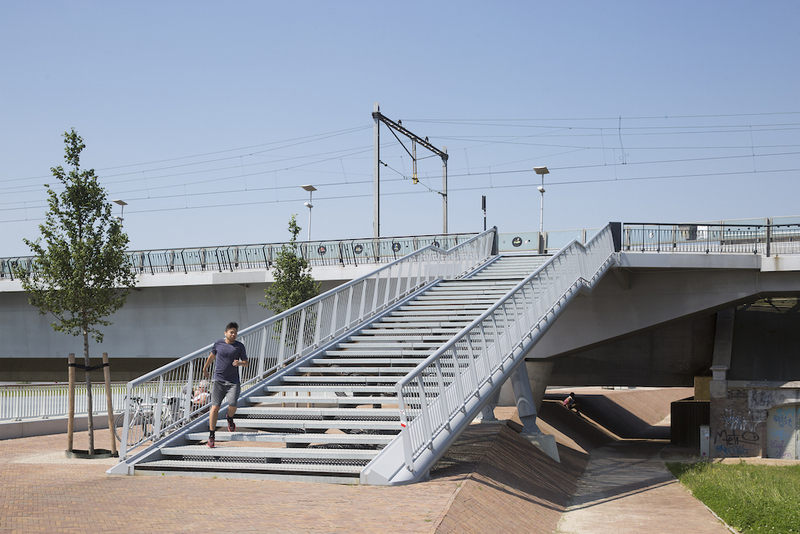 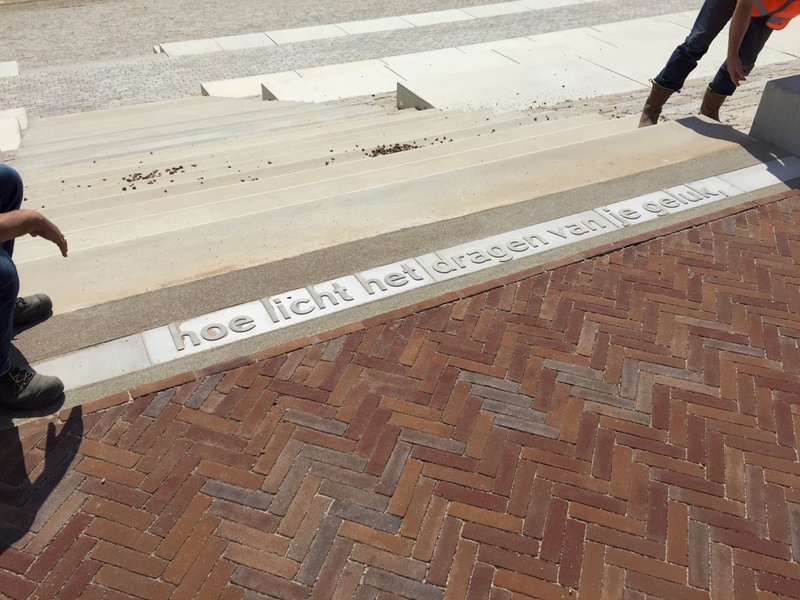 For the Snelbinder bicycle bridge they designed a sleek set of stairs that offers cyclists and pedestrians a shortened landing on the northern bank of the Waal river. 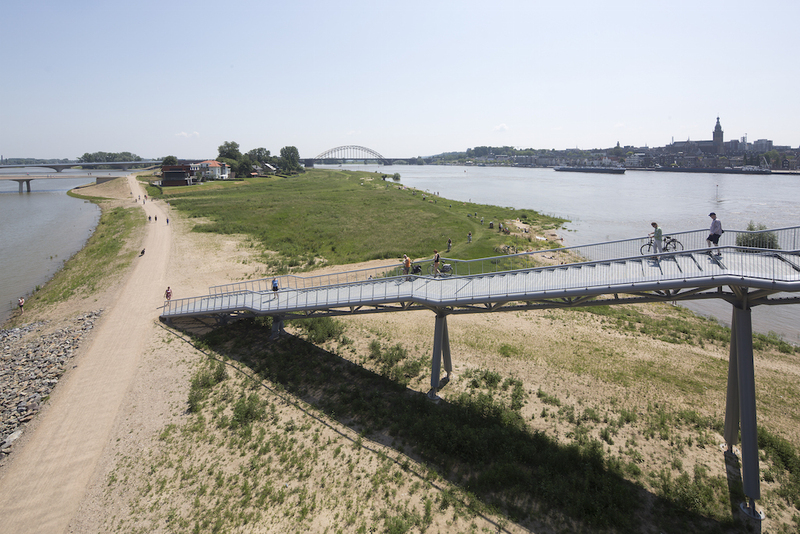 The new Parmasingelbrug connects the existing Prins Mauritssingel with the Verlengde Waalbrug and crosses the Watersingel. 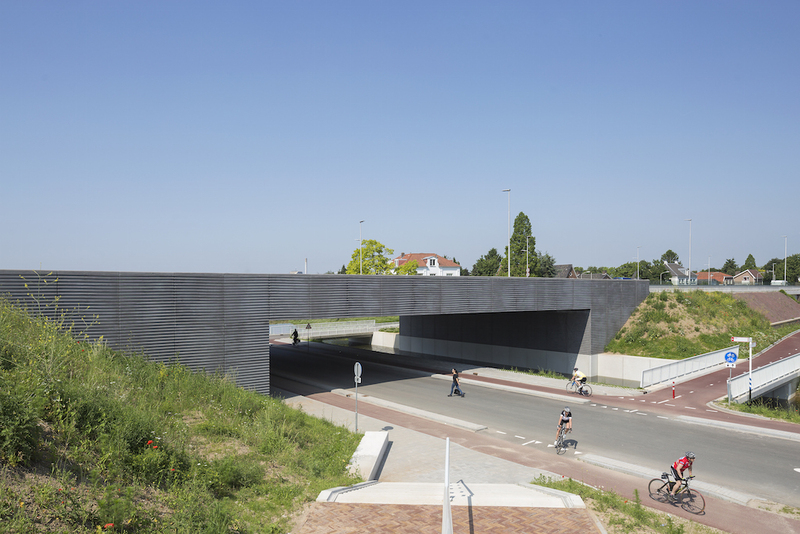 The wall covering of concrete elements with a louver pattern determines the robust look of the bridge. 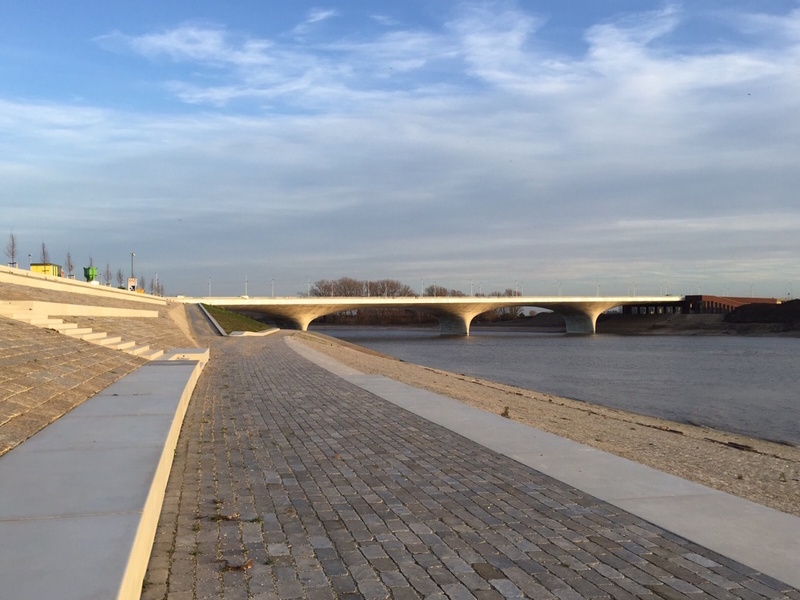 The team also gave form and functioning to the new, hard quay. 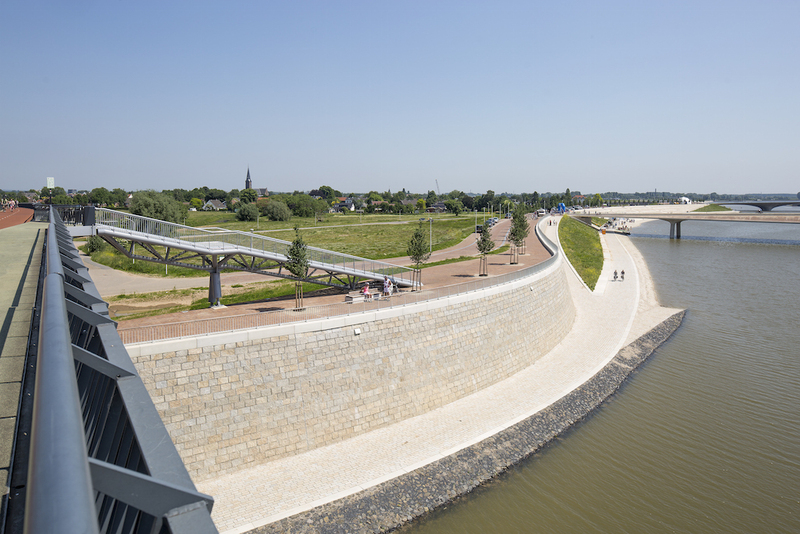 This new water-retaining structure is designed as a stand by the water’s edge. 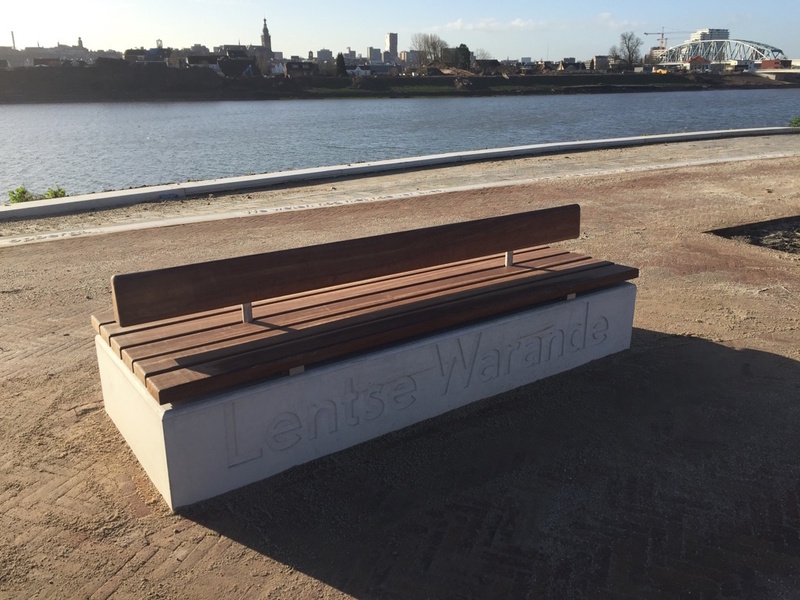 The artwork got the shape of an urban area with plenty of opportunities for walking, recreating and enjoying the view on the terrace or at the jetties.